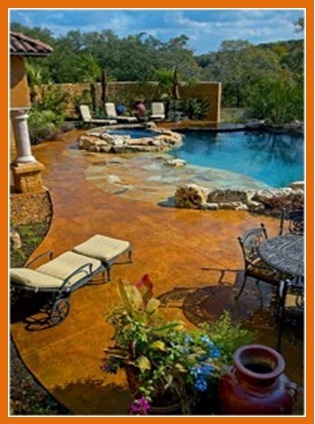 Just as a home inspection informs you about the condition of the home you are interested in purchasing, a pool inspection informs you about the condition of the pool. Pools and spas are very popular in many Arizona homes. If you are purchasing a home with a swimming pool and/or spa we highly recommend that you have this valuable asset inspected by HouseFacts Home Inspections. The intention of a pool inspection is to evaluate the current condition of all accessible pool components. We identify components that are not functioning properly or are unsafe. Visible parts of interior finish materials. The visible parts of decks, steps inside the swimming pool/spa shell and coping. The visible part of pumps, motors, blowers, skimmer, filters, drains, heaters, automatic safety controls, gauges, visible piping and valves, and conduit. Any cross connections in the water supply system. External bonding of the pump motors, blowers, heaters and other components that are required to be bonded. Operation of readily assessable lights, (GFCI’s) ground fault circuit interrupters, electrical components, and timer assemblies that are related to the pool or spa. The visible part of permanently installed handrails and ladders. The presence of safety barriers and/or alarms. The presence of entrapment prevention components. Vegetation, grading, surface drainage, and retaining walls that are likely to adversely affect the swimming pool or spa. The visible parts of the screen enclosure (if any), pool fencing, gates and doorways as well as gutters and downspouts that may be connected to the screen enclosure. HouseFacts Home Inspections also offers additional inspection services such as: Complete Home Inspections, termite inspections, mold inspection, inspections of any out buildings on the property, and commercial or multi-dwelling properties. Take advantage of our additional services so you can further minimize post-sale problems or hazards in your new home.